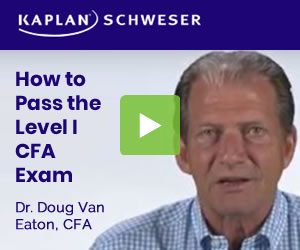 Is this statement taken from the CFA material a mistake? Institute, CFA. 2016 CFA Level I Volume 5 Equity and Fixed Income. CFA Institute, 07/2015. VitalBook file. The citation provided is a guideline. Please check each citation for accuracy before use. I thought there are both physical and financial versions of contracts regardless of whether they are physical or financial??? You might be thinking of SETTLEMENT options on the contract at expiration. Depending on the contract, you either deliver the underlying (physical delivery) or pay in cash. I re-read the section (3.4 Contracts) after your comment and that’s exactly how it’s described. I think they made the specific distinction as per my quote to make the examples obvious. Not a fan of the wording used to talk about this.